Arts Reach Recommends The Wallace Foundation’s Resources! Free cutting-edge research and reports from The Wallace Foundation are often highlighted at the Arts Reach National Arts Marketing, Development & Ticketing Conference. This practical guide show arts organizations how to use research to cultivate audiences. In in-depth case studies of arts organizations that worked to expand, diversify or more deeply engage their audiences, researchers examine what worked and what didn’t. The groups range from museums to opera companies. 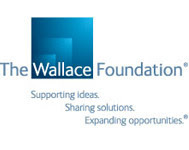 To download all of The Wallace Foundation free reports, click here.